This page is dedicated as an outreach of Garris Chapel to Ashley Larimore and her family. Ashley is the 17 year old daughter of Greg and Linda Larimore. She is currently on the transplant list for a new heart. 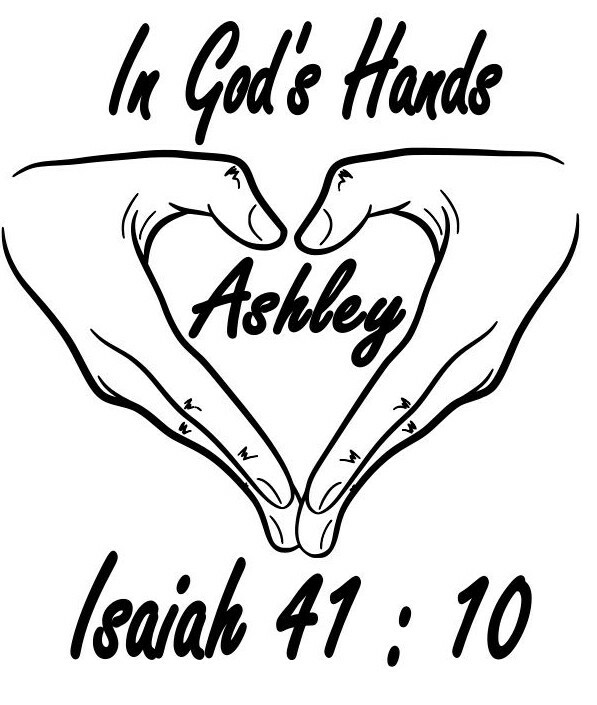 The Garris Chapel family is showing their support for Ashley and her family through what we call, “Love the Larimores.” We are currently in the stages of planning events for the coming months that will help the Larimores along this journey. 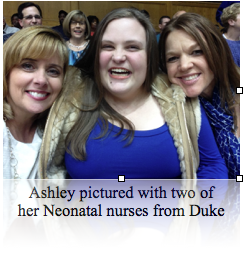 To learn more, read “Ashley’s Story” below. If you would like to make a financial contribution to assist the family, we have a designated fund setup through Garris Chapel. You may send your contribution address below. Please include, Ashley’s Heart in the memo. How Can You Support Love the Larimores? 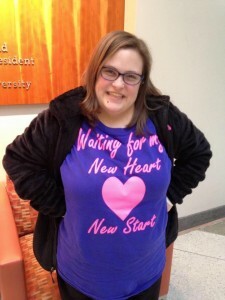 We are currently selling t-shirts with the “New Heart, New Start” logo. T-shirts are $20 each. If you would like to purchase a t-shirt, please contact our church office at garrischapeloffice@suddenlink.net. Be sure to check our page often for the latest information on “Love the Larimores.” You may also like our page on Facebook, Ashley’s Heart Journey. You can also check out Ashley’s Blog at https://ashleysheartjourney.wordpress.com . Even though it has been seventeen years, some days it seems as if it was yesterday that Ashley and her twin brother Matthew were born. Matthew weighed 2lbs 1oz and Ashley weighed 1lb 12oz. I know that is hard to even imagine. Literally, Matthew and Ashley were not much bigger than a Barbie doll. Being so pre-mature, both of my precious babies had complications. For them, nothing was quite ready to work. They were so fragile. We quickly learned the value of each day, each hour, and each minute. Ashley was much “sicker” than Matthew. Soon after Ashley was born, doctors explained to us that she had a coarctation of the aorta. This is where there is an obstruction in the aorta which was limiting blood flow to her body. The doctors told us that heart surgery would be necessary. They also shared that it would be better for Ashley to be closer to 5 lbs before having the surgery. So, days passed while we were waiting. During that time, there was one day that I found this saying taped to Matthew’s isolette….. “When you come to the edge of all that you know, you must believe one of two things: either there will be ground to stand on, or you will be given wings to fly.” At the time, I didn’t know it was foreshadowing events to come. It wasn’t long afterwards that Matthew developed a very serious complication, had emergency surgery and was struggling to survive. After a short 30 days, Matthew was given his wings and became an angel. Matthew is an important part of our story because through him, we learned that each day is a gift. Time is precious. I know he is in heaven and one day we will be a family again. Now, more of Ashley’s story…….GOD had other plans for Ashley. Just a day or two after Matthew died, the doctors said it was time for Ashley to have that heart surgery. Fear consumed me. I had been praying everyday already but then I started praying even harder. I didn’t know if GOD was listening. I asked “Why?” Just before surgery, the doctors ordered an Echo to take exact measurements of Ashley’s heart. I remember standing quietly by her bedside. This Echo seemed to take much longer than the many others and I noticed the technician seemed confused. I started to ask questions but got no answers. Then the technician left the Neonatal ICU rather abruptly. But, he left the Echo machine. It wasn’t long before I asked the head nurse to call the chief of pediatric cardiology. Imagine that! For me, it seemed like an eternity but I feel certain that it wasn’t long at all. The technician came back with the Cardiologist and they did the Echo yet again. You see, they were confused ….. the coarctation had disappeared! My prayers were answered! There were many happy tears that day. Doctors later told us that coarctations don’t just go away. Ashley is a miracle. All along, all I had to do was BE STILL and wait on GOD. HIS plan is perfect! Thinking back, I realized that I shouldn’t have let fear consume me. GOD had given me signs. You see the day I left the hospital after Matthew and Ashley were born, GOD gave me a rainbow right over our house…..I had GOD’s very real promise to me. All I had to do was trust HIM. All you have to do is trust HIM! HE never promised us easy but HE did promise to be with each of us every step of the way. I will cling to GOD’s Word and HIS love for us. With this knowledge, we can face what is in front of us now. You see, Ashley’s story continues……Because of the unusual disappearance of the heart coarctation, the cardiologists at Duke continued to follow her annually. As she grew, the doctors noticed that Ashley’s heart muscle was thick and rigid. It is quite unsettling when doctors at Duke tell you they have never seen this condition in a child before. Normally, something such as this would be diagnosed later in life after years of heart medications. Ashley was diagnosed with diastolic dysfunction. For years, the doctors continued to monitor her heart condition but she always seemed stable. It was during this time, and knowing the family history with my father, the doctors at Duke decided that checking Ashley’s older brother would be wise. So, in 2007, everything changed. Ashley’s brother, Daniel, was diagnosed with an enlarged heart and hypertrophic cardiomyopathy. Then additional tests on Ashley changed her diagnosis to restrictive cardiomyopathy. Once again, fear crept inside me. You see, I knew about cardiomyopathy. 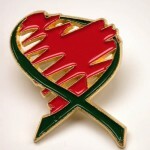 My father was diagnosed with a cardiomyopathy when he was 58 and had his first heart transplant in 1988. My father lived a successful happy life. Even knowing this, I still struggle. So, I just kept reminding myself that all I have to do was trust HIM. Yes, I do have questions….and one day, GOD will give me those answers. Until then I keep reminding myself that GOD’s got this. And, I can do all things through Christ who strengthens me. Philippians 4:13 GOD loves my children even more than I do. So, in the fourth grade, everything for Ashley changed. She had to give up pretty much all the things that meant the most to her, like softball and basketball. Ashley had just hit her first homerun and then everything stopped. The doctors restricted all physical activities. She felt as if her life was ruined. Little did we realize that GOD was preparing her for what was ahead. Where one door closes, another one opens. Ashley found other things in life to matter more, she found a wonderful high school and she has realized that she IS going to be a pediatric nurse one day. She wants to help others and make a difference. She now thanks GOD for a bright future. Ashley even thanks GOD for her heart problems because she knows HE is using her to glorify HIS name. Ashley smiles all the time and will quickly let you know that her life is good. I am so proud of her. The next chapter…. On June 2, 2015, we were called by Ashley’s cardiologist and told that it was time to start the heart transplant process. I know GOD’s plan is perfect, but some days it is hard for me to understand how my sweet Ashley needs another heart. Ashley is truly a special person; she is wise beyond her years, her faith is stronger than most adults, she has always loved others and she shows kindness to everybody. Ashley shines for GOD and knows HE is in control of her life. Jesus really is the key to her heart. So, how could her heart not be right? As I said, I may not understand but one day I will. We will choose to trust GOD! 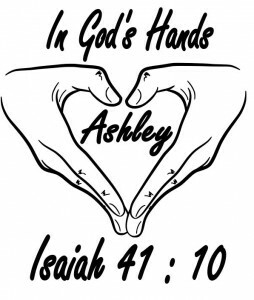 Ashley has been on the transplant list now for 1 month. Waiting is difficult. Ashley’s faith and spirit continue to amaze me. I often hear her say, “I will get that perfect heart in GOD’s perfect time.” This is Ashley’s senior year in high school. Most all other seniors are young and free, enjoying life with graduation right around the corner. Not so much for Ashley. Most days now, Ashley is very tired and often dizzy. Being a mother, there is nothing worse than seeing your child struggle and not being able to make it better. Even on those hard days, Ashley will always find a smile for me. Don’t get me wrong, we know we are still very blessed. As of today, we are still at home in Goldsboro and Ashley is going to class as she can. We are trying to be normal. Ashley will still graduate this year. She will not give up. If you would like to follow our story, our church has created a Facebook page called Ashley’s Heart Journey. Or you may go directly to her Blog at https://ashleysheartjourney.wordpress.com .